The Trust's special 20th anniversary annual report has just been published. It reflects not only on the past year, but also on the trust's work since 1998 and also has reflections about the future from Dr David Saunders, the trust's Chairman and from Professor Frances Lennard, Alison Richmond and Sarah Staniforth. 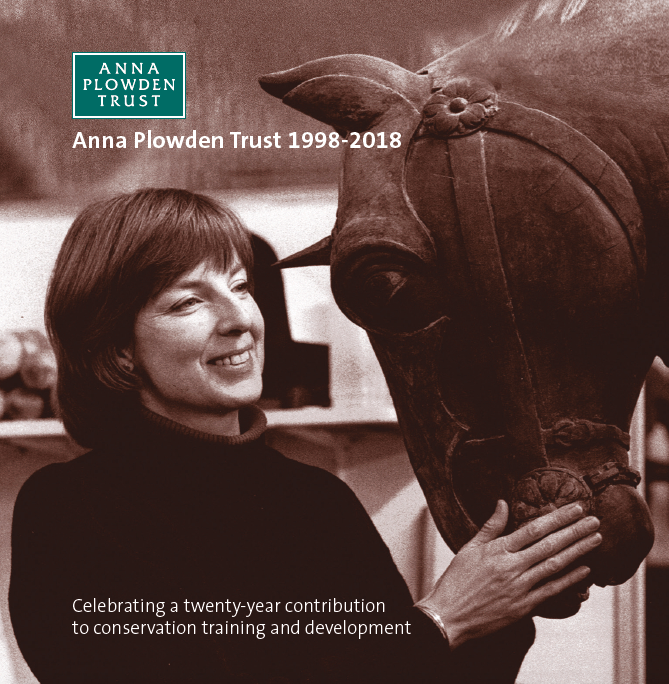 The publication also includes reports from some of the current Plowden Scholars as well as some of the 2017 Anna Plowden/Clothworkers' Foundation CPD recipients. Download a pdf of the publication here or, if you would like a hard copy, contact us via this website and we will happily send you one.